Home DEMOCRACY Forever in the Future? Brasil’s streets have been filled with protests in the last few weeks, evoking similar events taking place earlier in the year. Most of the demonstrators are supporters of the defeated presidential candidate Aécio Neves who have collectively paraded across several parts of the country chanting for the removal of Dilma Rousseff, the sitting president who was reelected in October 2014 in a deeply polarised contest. Though a clear expression of the democratic order in place, this street-based mobilisation has brought to fore a deeply fractured political and ideological climate, which has largely paralysed the decision-making process and thus deepened the economic problems the country is facing. The fact that many of these marchers claim to be demanding an end to the systemic and ever more noticeable corruption of the political system does not diminish the fact that most of the gatherings have essentially been targeted at Dilma and her party (PT, the Workers’ Party), which has governed the country at the federal level in the last 12 and half years. It is overtly clear to any unbiased observer, the narrow and highly selective focus of the protests, which have refused so far to advance an agenda for reforming the fundamentals of the pervaded corruption that has marred the country’s political structures during, at least, the last five decades. Beyond the noise and, at times, ludicrous aspects manifested in these events – such as by those chanting for the return of the military regime that ruled the country between 1964 and 1985, during which time the country’s corruption scandals deepened and reached hitherto unprecedented levels – one should pay attention to much deeper ideological and cultural elements that seem to be resurfacing. In fact, the growing prejudice-driven, many times overly racist comments voiced by many of the marchers points to a much deeper and concerning aspect of Brasil’s path towards democratic consolidation. To be sure, the fact that most political and judicial institutions have thus far withstood the growing polarisation, one has only to remember elements of the not-too distant military coup of 1964 to see that there are no guarantees that the country’s current leadership will be able to peacefully — and with opponents resorting to legal shenanigans (e.g. reopening the accounts pertaining to Dilma’s campaign’s expenditures already approved at the Higher Electoral Tribunal) — resolve the situation of political and ideological stalemate. Equally important, and also at stake, is the very possibility of reverting, or perhaps even eliminating entirely the long-overdue and arduously gained achievements, in both the political and economic arenas, that in the last two decades have benefited millions of less-privileged Brazilians. In addition to the concrete pain that these developments would bring (and in many ways are already bringing) to so many people, an added negative, perhaps even tragically ironic aspect is at work. 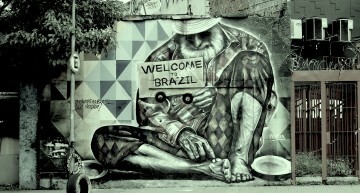 Brasil indeed seems at the verge of the very squandering of the possibility of finally addressing one of the country’s most serious ill: its outrageously high unequal distribution of access to the economic gains and political decision-making process. A brief overview of the country’s historical trajectory will be sufficient to demonstrate this last point. When compared to most other parts of the region, Brasil did have very promising beginnings. Despite the riches produced in the northeastern coastlines, it was only at the turn of the 18th century that the Portuguese crown promoted a concerted effort to occupy the territory given the gold deposits found in the region of Minas Gerais. Along these historical lines, the colonial experience of Brasil was mostly defined by material and cultural underdevelopment vis-à-vis the more developed centres of Spanish rule in the New World. And it was only with the political stability provided by the monarchical regime in the 19th century, particularly after the conservative pact of the 1840s, that a more sustained path of growth was made possible. The fact that these gains had largely been based on an expanding agro-exporting, slave-based economy and a deeply restrictive political system did not diminish the significance of had been achieved. In effect, considering that similar developments were hardly available among most of its neighbours, Brasil arrived at the dawn of the 20th century with a growing economy and a functioning and formally democratic regime, now under a republican system, uniquely placed to occupy a place of leadership in the region, a trend recognised by the U.S. regional diplomatic positions at the time. But if much had changed in terms of the country’s macro political and economic structures over the course of the 19th century, the underlining logic guiding these very same arrangements was still one of deep inequality and constantly reasserted exclusion to most of the country’s inhabitants. The overwhelming majority of the population was still poor and illiterate, voting rights were restricted to less than 10 percent of its citizens, and economic and race-based forms of preventing social mobility were rampant and constantly reasserted by national and regional ruling elites. It would be only in the middle of the last century, with the experience of the WWII-related industrial efforts conducted by an authoritarian but socially more responsive government, that small, yet still very important and unprecedented socio-economic gains – most importantly a highly corporatist labor code – were made available to much of Brasil’s urban working segments. The paternalistic tone of the regime of the period notwithstanding, it is worth mentioning that these accomplishments would not have taken place without the constant and widespread mobilisation of country’s populace who never accepted quietly their restricted membership in the main contours of Brazilian society. Following these earlier trends, in the postwar era, some of the country’s most important transformations occurred. 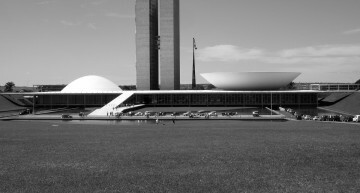 The economy was gradually transformed towards a less agrarian-dependent base, a steady process of urbanisation unfolded, access to education and other types of governmental programs became increasingly better in many parts of the nation’s vast territory, and, perhaps, more importantly, most Brazilians witnessed and engaged with the country’s, by then, most important democratic experience. Increasingly, traditionally excluded groups presented their own demands (such as land reform) in a vibrant and ever-expanding arena of public debate. 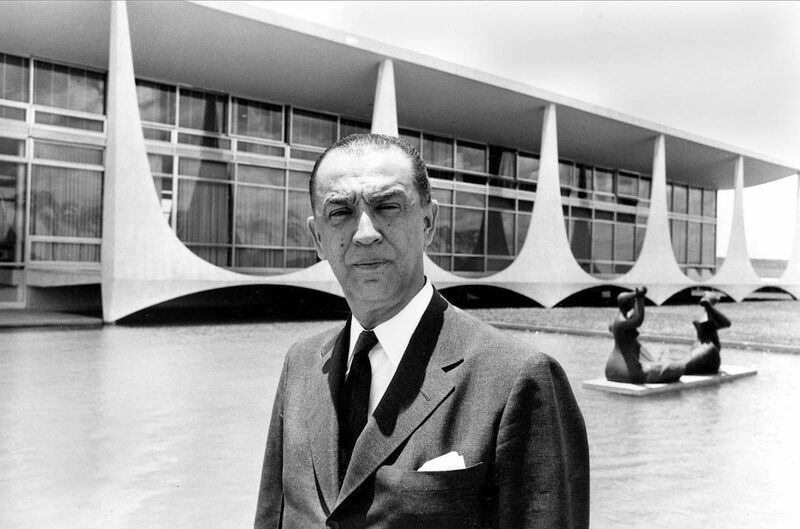 And, in the end, by the early 1960s, despite its growing economic problems related to the country’s rapid industrialisation of the preceding decade, Brasil seemed to be at the brink of overcoming what was then called its underdeveloped condition. Tragically, proportional to the heightened excitement and hopes of so many ever more mobilised social sectors (e.g. landless peasants, the urban poor, and vast numbers of illiterates) was the pain and frustration brought about by the military takeover of April 1964, which ushered 21 long years of political repression, exclusionary and wealth concentrating economic reforms, and, ultimately, the curtailment of the process of small yet still deeply transformative socio-economic and political inclusion of the preceding years. 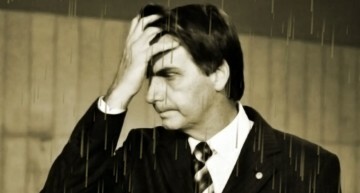 In a quintessentially Brazilian way of erecting social pacts that allow for minor changes so that the main configurations of the country’s economy and political system would remain in place, Brasil transitioned away from its most repressive and long-lasting authoritarian experience in a slow process that occupied the nation’s leadership almost a decade. It was only in 1988 that a new democratic constitution was made available, and it was only in 1989 that Brazilians could vote in direct presidential elections. These were remarkable achievements and the active mobilisation of so many and varied groups (e.g. workers and grass-roots activists of multiple causes including the environment and those demanding rights for historically excluded “minorities” such as women and Afro-Brazilians) seemed to offer the possibility of finally starting to address some of the nation’s traditional inequalities. Brasil had (and still does) one of the world’s largest economies while also ranking very high (close to the top) as having one of the planets’ most unequal distributions of wealth. 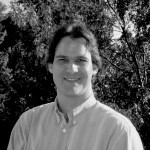 And it would take the concerted efforts of lowering inflation rates, and, perhaps even more importantly, the promotion of new social programs targeted at lowering absolute rates of poverty (such as by cash transfers directed at the poorest households), in the last two decades, that the national economy witnessed new and sustained levels of growth while also promotion of still insufficient but nonetheless unprecedented socio-economic inclusion. These changes were seen domestically and internationally as representing perhaps the dawn of a new era in Brasil, a country that was considered to be not only an emerging global economy but also a vibrant and ever more inclusive democracy. The nation seemed to have found its long-sought “place in the world,” and most Brazilian believed they were finally moving forward in a democratic regime and expansive (both growing but also socially enlarging) economic system. The events of the last two years seem to be showing that some of these assessments may have proven perhaps a bit too rosy and certainly a bit premature. In fact, the economic slowdown of this same time period (which was at least partially caused by similar global trends) have given rise to not only widespread criticism of the Workers’ Party approach to reformist policies, but also, and certainly more concerning, the revival of many of the same (ironically still present) Cold-War related rhetoric of the early 1960s. 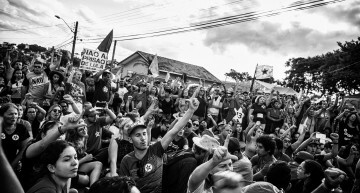 Along these lines, and something yet absent in much of the coverage of the protests thus far conducted by the traditional Brazilian and international media, Brazilian streets have been inundated by people demanding that poverty-reducing and race-related programs be completely eliminated, if necessary by actions of force such as those performed by traditional Latin American military regimes. Beyond the initial puzzlement produced by this conservative (at times, borderline fascist) narrative and demands, one is forced to recognise the danger that this type of reasoning may pose to the country’s vibrant though, in many ways, embryonic democratic regime. In this sense, anyone sincerely interested in the country’s well-being should also be concerned about the negative impact eventual policies based on this type of agenda would pose to the large majorities of yet still mostly excluded Brazilians. 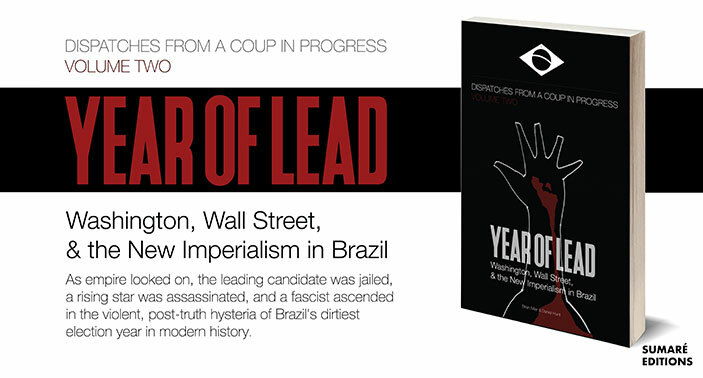 Once again, Brasil seems today at a turning point of its long and, to most of its people, painful history. How the country’s leading political, economic, and intellectual figures may respond to these challenges will determine not only present-day events, but also the course of the upcoming years. Will the country of the future remain stuck to its ambiguous label or will a more promising future finally arrive? Primeira Liga: Brasil’s Premier League Moment?